The Prisoners Rehabilitation and Welfare Action (PRAWA), a Non-governmental Organisation (NGO), has appealed to the Federal Government to establish a Case Management System(CMS) to promptly track Awaiting Trial Persons (ATPs) cases and status to decongest prisons in the country. The Executive Director of the group, Dr Uju Agomoh, made the call in a statement supported by the Nigerian Prisons Service (NPS) as part of the Prison Reform Project at the House of Representatives Retreat on the Review of the Nigeria Prisons Act on Tuesday in Enugu. Agomoh said that the establishment of the case management system would help in proper documentation and updating of prisoners and detainees` records and court data. “We want special focus on records of stalled cases, cases that have been granted bail, adjournment of cases without time frame and provision of legal opinion by the prosecution. “A majority of respondents are not granted bail by the court and those granted bail are unable to meet the bail conditions and some bail processes are not prolific. “This is because it is stringent or they could not meet the conditions given by the court all these are contributing to extension of duration in custody of ATPs, ” she said. Agomoh said that a recent survey showed that many of the ATPs did not have legal or active representation, while some who had it were unsatisfied with the quality of service being provided to them by their legal representatives. She said that implementation of legal provisions policies would speed up trial process including provision of institution and individual incentives aimed at encouraging greater compliance. “Prisoners should be represented using the Administration of Criminal Justice Act 2015, legal Aid Act 2011 and the National Legal Aid Strategy 2017-2022,“he said. She urged government agencies, the private sector and Civil Society Organisations (CSOs), the media to support prison Justice Sector reforms and replication of good practices. Agomoh said that a survey by the NPS had shown that more than over eight per cent of inmates sampled in three states, Enugu, Kano and Lagos had not appeared in court for over 5 years for the offences they were charged with. She said that some cases which could only attract six month imprisonment or less upon conviction should be attended to rather than be kept in prison indefinitely. “On the average, two per cent of those sampled in this study had spent over 10 years in prison custody without conclusion of their trial. “The prison authority had disclosed that they do not have information regarding all the ATPs that have been granted bail by the court,” Agomoh said. According to her, study showed that information was not routinely provided by the court in all cases, adding that it was only endorsed in some of the ATPs court warrants. She noted that it was due to lack of comprehensive prison data and regular update of prison records of all those granted bail. Agomoh said that all bails granted by the court to juveniles brought into prison and all bails on cases of aged prisoners should be effected according to court rulings. She urged government to make adequate budgetary provisions and disburse same to facilitate the implementation of the project. 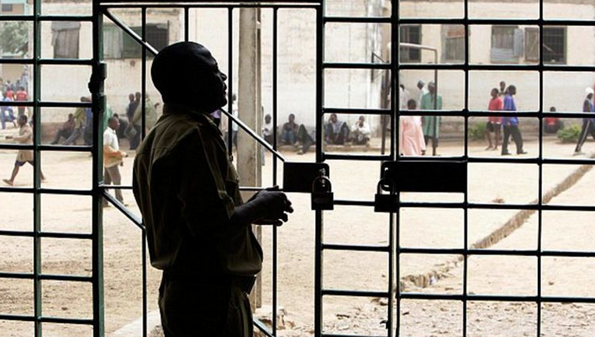 The News Agency of Nigeria (NAN) reports that Prisons Survey Report was a research work undertaken by PRAWA in conjunction with the Nigerian Prisons Service (NPS).